Going on holiday in the historic and scenic American East? East Coast Condo Vacation Rentals specializes in resort lodging condo vacation rental accommodations in areas east of the Mississippi River. Most of our condo vacation rentals are affiliated with Sheraton Starwood, Vacation Village, Wyndham, or Worldmark–all of them among the finest resorts. Note: We now have so many great Florida resort rentals, we moved them to a new website YourFloridaVacationRental.com, which can be accessed here. Available condo vacation rentals are sorted by State and Resort Name–please look to the left and click on the menu button corresponding to your State and Resort of interest. Or, if you don’t see what you want in the menu, we have access to thousands of condo vacation rental resort weeks worldwide. For access to the current availability, try out our Vacationator Search Tool. Find and click on the “please click here” or similarly labeled (often yellow-highlighted) link located below the vacation rentals availability list on the resort webpage. This opens a new webpage, showing available dates, units, and prices. Open your bag, click “checkout”, then follow the instructions. We use PayPal to process your payment (PayPal does not charge you anything for this service, and you are not required to have a PayPal account). PayPal is trusted for online payment processing. You can be confident that PayPal will handle your credit card details in a safe and secure manner. If you don’t have a credit or debit card, or would prefer not to use one, we also offer secure online payments using Chase Bank’s Person-to-Person QuickPay and Wells Fargo Bank’s SurePay. These are free online services that enable virtually anyone with an e-mail address and a valid U.S. bank account to transfer money. Please let us know if you would like to pay for your vacation rental using QuickPay or SurePay. All confirmed reservations are non-cancellable, non-changeable, and non-refundable. To safeguard your vacation, please consider buying the optional “Oh No, I Can’t Go” trip protection. $150 protects your week — allowing you to cancel for any reason, as few as 4 days before check-in (note: the waiver is not available on some resorts, and the cancellation deadline varies by resort and may be longer than 4 days). Buy the waiver for $150, cancel before the deadline, and you’ll get 100% of your rental payment back. Ask for details. If you dare, check out our SPECIALS! Please review our FAQs for answers about us, how we get our timeshare condo vacation rentals, a primer on setting realistic expectations for your timeshare condo vacation rental, our pricing and cancellation policies, and our disclaimer. East Coast Condo Vacation Rentals Has the Best Condo Vacation Rentals…and now, a savings-filled newsletter! You want “The 411″ on USA timeshare condo vacation rentals, without the hassle of rummaging through those unwieldy corporate websites. Subscribe to our newsletter now and get free food*! We are happy to help. 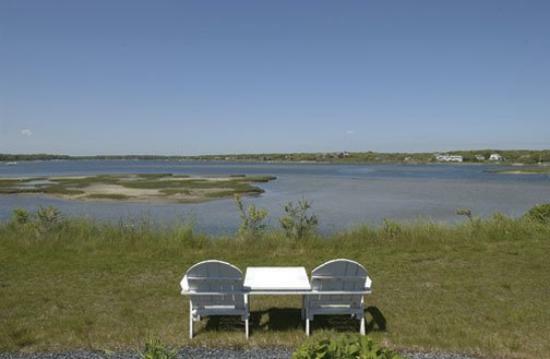 East Coast Condo Vacation Rentals publishes an occasional newsletter. In each newsletter, we’ll let you know about our new condo vacation rentals inventory. Also, we will offer you last minute deals and bonus offers not available to the general public. Sign up here — we promise not to fill your Inbox with kudzu, we won’t share your email address with any varmints, and you can unsubscribe with one click, at any time! * Anyone subscribing before July 1, 2012 will receive a $10 Restaurant.com gift certificate. Certificate will be emailed in late 2012. If you have a great slogan to go with any of our domain names, drop us a line and we’ll use it in our ads. East Coast Condo Vacation Rentals has access to thousands of wonderful condo vacation rentals at hundreds of great resorts, and it’s our goal for you to be a happy (and repeat) customer. If you had a good trip with us, would you be willing to tell us about it? Send us a short (100 words or less) testimonial. If we use it on our website, we’ll thank you for your submission by sending you a 3-month ($75 value) Dinner of the Month Club membership. Permanently exchange properties around the world with no commissions, and no or low fees! Swap homes, land, condominiums, townhouses, multifamily income property, vacant land and lots, timeshares, businesses, cars, RVs, boats — you name it! GoSwap.org offers free basic listings, and low-priced standard, enhanced and featured listings. GoSwap.org guarantees that you will be impressed with your results. Have a home or condo and you are ready to trade now? Visit GoSwap.org, and see our two listings, this one for our southern Arizona ranch, and this one for our $4 million portfolio of Arizona vacant and improved building lots and other real estate. Need a bad insurance agent? Don’t have enough problems in your life? Then, consider Filichia Insurance Agency, where their policy is Screw ‘Em, Then Sue ‘Em. We complained about them; they filed a lawsuit against us. Review our complaints with Filichia Insurance Agency of Titusville, Florida at http://www.filichiainsuranceagencysucks.com.